Welcome to Day 1 of my unofficial oatmeal cookie week. Because… cookies for a whole week? Yes, please. Oatmeal cookies just shout “AUTUMN” to me… I don’t really know why. Oatmeal is also a lactation-boost; so, there’s that going for me too. I figured it was a win-win. That’s right, all those cookies I’m inhaling are for the baby. That’s my story and I’m sticking to it. Don’t worry, they are still delicious, even if you don’t make more milk. I took the classic oatmeal raisin cookie and added a bit of chocolate… That’s right. Yum. These cookies are soft and the chocolate will satisfy your next craving. The oatmeal and raisins are healthy, so I won’t judge if you eat two or three at once. I just ask that you do me the same courtesy. 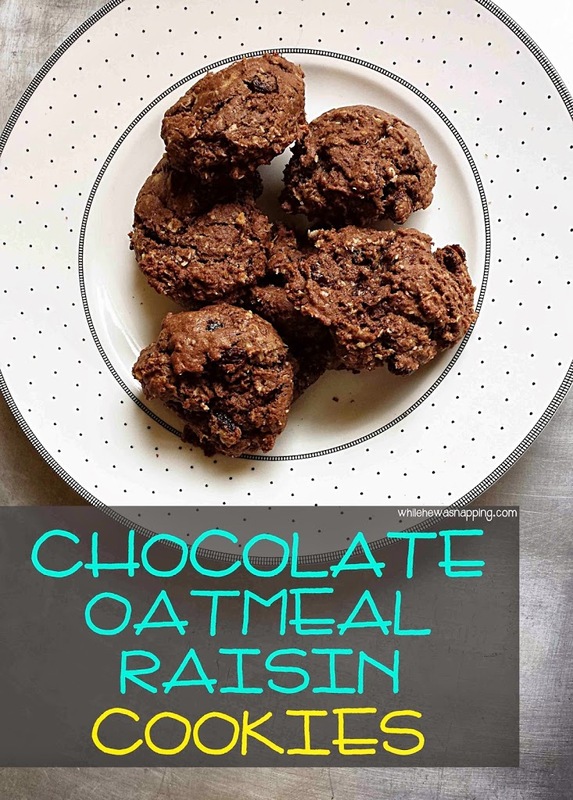 These whip up pretty quickly and even my kids and husband, who aren’t big fans of oatmeal at all, still really enjoy these. If you use regular oats, definitely let them sit in the milk while you mix up everything else. If you use instant oats, that step isn’t as crucial, but I still like to let them soften a little. What are you waiting for!? Mix up some cookies! 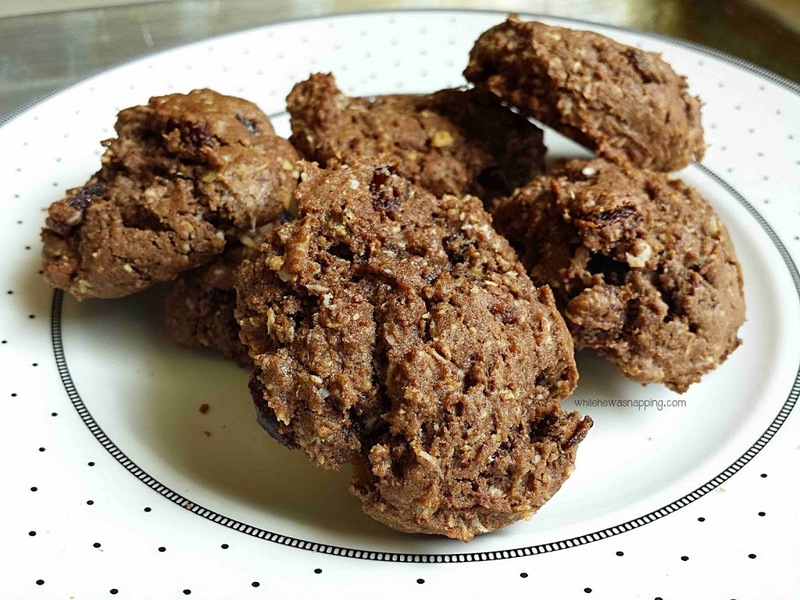 Soft and chocolaty, this takes classic oatmeal raisin cookies and kicks them up a notch! Combine oats and milk in a bowl and let set. Combine the sugar, brown sugar, flour, baking soda, salt, and cocoa in a large mixing bowl. Mix until well combined. Add in the butter and eggs. Combine. Fold in the milk and oats until evenly mixed. Add raisins and chocolate chips. Mix into batter. Drop 1 inch balls onto lightly greased cookie sheet.